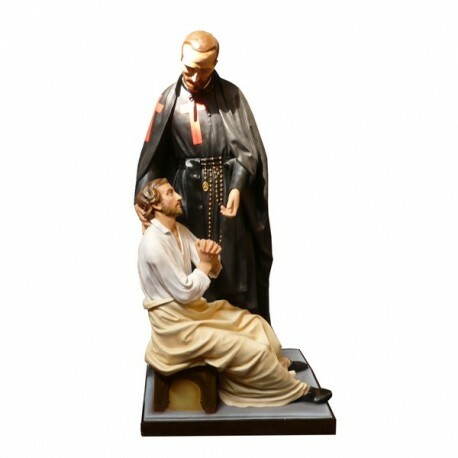 Statue of Saint Camillo of 175 cm. 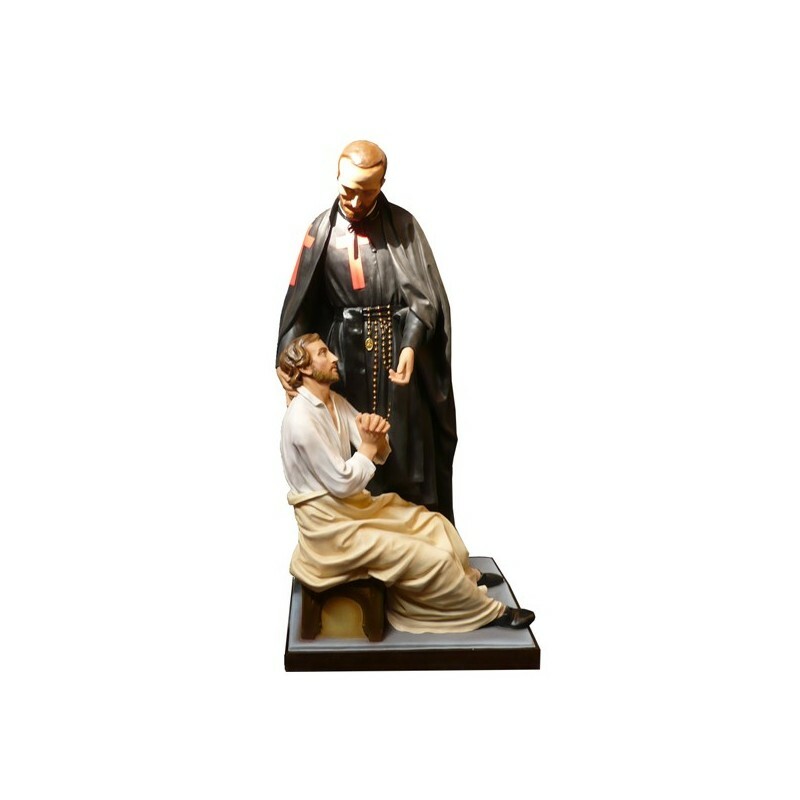 Statue of Saint Camillo, 175 cm of fiberglass, handmade in Italy. Saint Camillo de Lellis is commemorated on the 14th of July. He was born in 1550 in Abruzzo. After some years as soldier, he wanted to become a Capuchin, but for a serious and incurable disease he had to renounce. He founded the nurses’ congregation, named “Ministri degli Infermi” that was approved in 1591. He was ordained by Thomas Goldwell of St. Asaph, the last english bishop of the old hierarchy. Pope Leo XIII declared him Patron Saint of the infirms.